Gift Sets are one of my favorite things about buying gifts for the holidays. It's a great time when brands put together some of their best products in cute packaging with a savings over regular retail. It's also a great chance to test out some new items and share them with friends. Keep reading to find some of my top picks for holiday gift sets for hair! If you've got any curly girls on your holiday gift list, I highly recommend checking out the gift sets Ouidad has for this holiday season. Ouidad introduces five kits, each one elevating hair to its best potential, leaving it healthy, shiny and hydrated, in a variety of price points. This is one of my hands down brands for my curls and I've tried A LOT of products targeted at curls. I'm sure you've heard your curly headed friend complain about the maintenance, frizz and numerous products out there that haven't worked. Make their holiday a happy one by giving them one of the below sets from Ouidad! 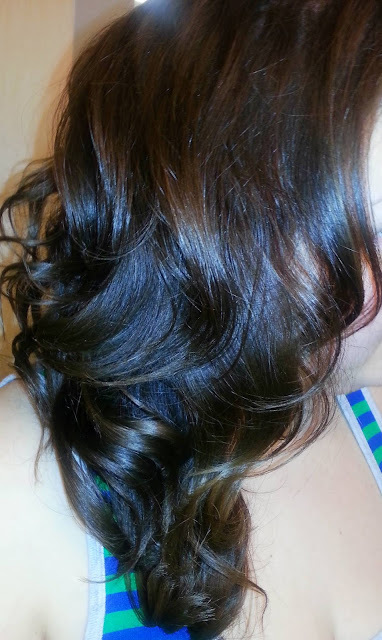 My hair after using Ouidad Climate Control Heat & Humidity Gel, Playcurl Volumizing Spray and Botanical Boost Moisture Infusing & Refreshing Spray. Organix is also a great line I've raved about lots lately. These products are at drugstore prices, yet they are housed in the cutest of packages, include tons of amazing ingredients and do what they say they're going to do! 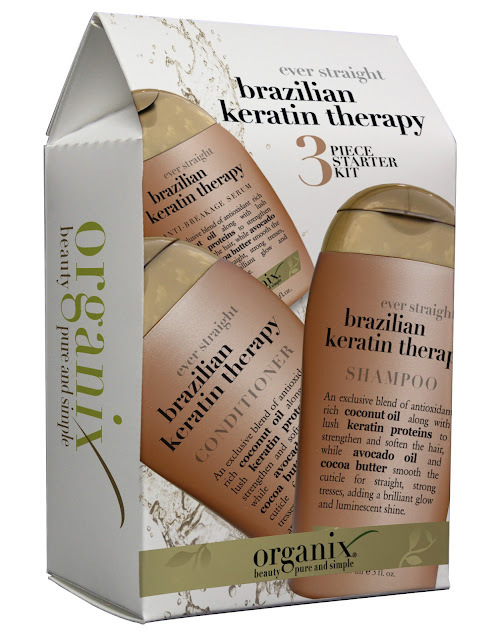 Organix 3 Piece Starter Kits pack the punch of a full hair care line, conveniently packed into one compact box. The Renewing Moroccan Argan Oil Kit and Ever Straight Brazilian Keratin Kit are packaged in stocking friendly sizes and are available for $9.99 at ULTA and Target. This 3 piece kit included a 3 oz shampoo and conditioner as well as a 1.7 oz travel size of the anti-breakage serum. Dinner for 5 in 5 minutes for under 5 dollars!